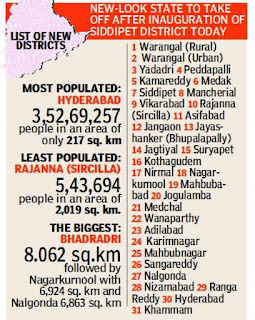 Telangana Government has created 21 districts from the existing 10 and the total no. of districts in the state now goes up to 31. Chief Minister of Telangana K Chandrashekar Rao said the reorganization of districts has been taken up for better administration and the administration should have up to date information on the districts and their residents over the implementation of various Government programmes as the total population in each of them would only be in lakhs now. 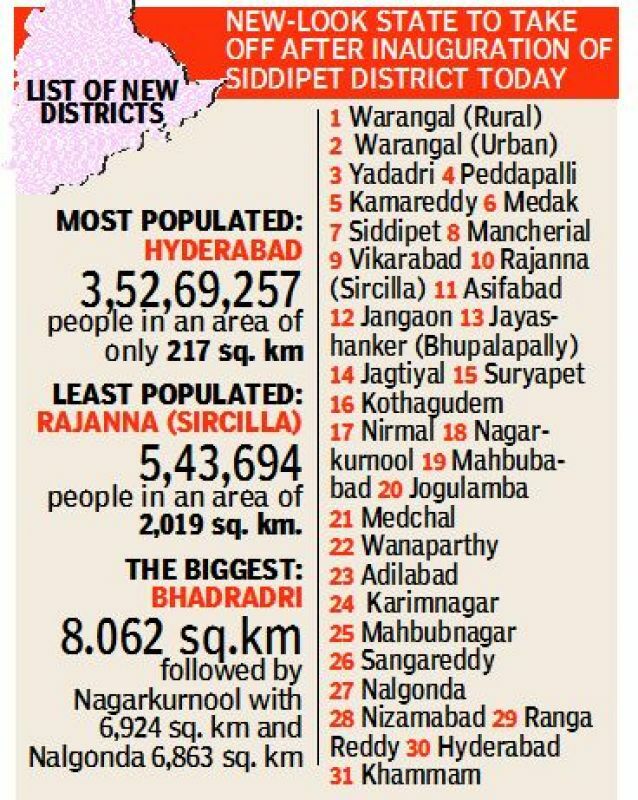 Rao would attend the inauguration of Siddipet district, carved out of Medak, his home turf, according to the list of VIPs proposed for inauguration of new districts provided by the Chief Minister's Office.